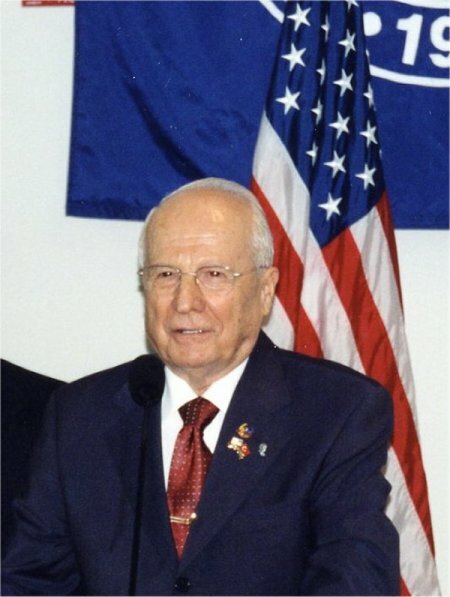 ArcImaging President Rex Geissler was a guest at his Excellency Turkey's 7th President Kenan Evren's Scholarship Dedication for Turkish Studies at Florida Atlantic University on March 25-26, 2002. ArcImaging is a financial supporter of the scholarship fund and of T.A.B.E.C., the Turkish-American Business, Education, & Cultural Development Committee that helped coordinate the scholarship fund in President Evren's name. ArcImaging was fortunate to meet with and discuss Mount Ararat Archaeological Research in collaboration with Ataturk University with President & General Kenan Evren, Turkey's current Minister of Culture Istemihan Talay, the Turkish Ambassador to America in Washington D.C. Dr. O. Faruk Logoglu, former United States Secretary of State, Chief of Staff, & General Alexander Haig, United States Congressman Robert Wexler, the Honorable Ismet Karading, Mayor of Marmaris, Turkey, and Florida Atlantic University President James Catanese in Boca Raton, Florida. ArcImaging officers/directors B.J. Corbin, Gary Pryor and Rex Geissler originally discussed Mount Ararat research with T.A.B.E.C. President Suheyla Gencsoy and her husband Tahsin in Ft. Lauderdale last year as ArcImaging gave presentations to a foundation and secured a financial commitment at the time. Suheyla has been supporting ArcImaging as its Director of International Relations for Turkey. Please send inquiries to ArcImaging for new bridges of friendship and camaraderie to be built with senior Turkish officials. The first evening, Suheyla had a special dinner with only 30 donors to the scholarship fund attending at the top of a hotel, which included the Turkey's 7th President, Minister of Culture, Marmaris Mayor, Florida Atlantic University officials, TABEC officers, and Rex Geissler. Suheyla said several very kind things publicly about ArcImaging, our research, and gave Rex Geissler two opportunities to address the group about ArcImaging's progress to date, the permission and research in 2001, and our plans for the future. The following day was the actual dedication ceremony of the President Evren scholarship fund at Florida Atlantic University for Turkish Studies. There were numerous security guards around as an overflowing crowd attended (about 250 people as there were many students, trustees, and others standing). Before and after the ceremony, Rex Geissler met and chatted with former United States Secretary of State & General Alexander Haig and his wife. They were wonderful and very kind. Most of the TABEC attendees were seated in the first three rows toward the center along with numerous university officials. General Haig's comments during the ceremony were tremendously supportive of President Evren who guided Turkey through a difficult time in Turkey and was able to get the United States embargo lifted without any desire for fame or glory. Seated at the front of the room from left to right were Florida Atlantic University (FAU) President James Catanese, President & General Kenan Evren, TABEC President and ArcImaging's Suheyla Gencsoy, Turkey's Minister of Culture Istemihan Talay, and United States Congressman Robert Wexler. The American Pledge of Allegiance was stated, the Turkish and American anthems were sung by the FAU choir, each person at the front gave a speech on the scholarship and the importance of long-term Turkish-American relations. President Evren's speech focused on the difficulty that Turkey has had being in the middle of traditional migratory routes and bordering eight different nations. He and General Haig discussed their deep friendship, the mistake of the United States trade embargo in the late 1970s and how it hurt Turkey and forced President Evren to declare martial law in order to restore order to the nation. The Minister of Culture also discussed how Turkey and the United States were united in many common beliefs such as democracy, the separation of church and state, and had fought together in the Korean War, Persian Gulf War, War on Terror, and now in Afghanistan as peace keepers. United States Congressman Robert Wexler discussed how along with two other congressional colleagues, they have begun a congressional committee on Turkish-American relations. Each of the speakers talked about Ataturk, how President Evren would go down in history with Ataturk, who should be taught in American schools alongside the Roosevelt Presidents and Winston Churchill. General Haig talked about his relationship with General Douglas MacArthur and how MacArthur personally corresponded with Ataturk in the 1920s and 1930s. Haig also talked about how important Turkey is to the NATO alliance as the only muslim nation. ArcImaging gifts were given through The Explorers Of Ararat books, History Channel videos, and binders including the ArcImaging Cover Letters and Research Plans.